MOLE-Pipe PRO 52ft expandable Slotted with Sock pipe can easily bend and work around any outdoor obstacles. Is perfect for groundwater drainage such as French drain systems. Polyester sock prevents clogging of the slots to allow use in areas where soil or sand requires filtration. MOLE-Pipe lengths are approved for above and/or below ground applications. MOLE-Pipe PRO 52ft expandable solid pipe can easily bend and work around any outdoor obstacles. It is perfect for diverting water from one point to another. MOLE-Pipe PRO lengths are approved for above and/or below ground drainage application. Scotts Finch Super Thistle Sock is a convenient nylon tube feeder filled with premium Nyjer seed. Nyjer is an imported and processed seed that is widely used in North America for feeding a wide variety of wild finches. The Scott's Goldfinch Thistle sock is a preloaded mesh sock with thistle seed. Thistle seed or Nyjer seed is preferred by American Goldfinches, House and Purple Finches. Refillable. Mole-Pipe Pro 52 Feet Sock MOLE-Pipe PRO 52ft expandable Slotted with Sock pipe can easily bend and work around any outdoor obstacles. Is perfect for groundwater drainage such as French drain systems. 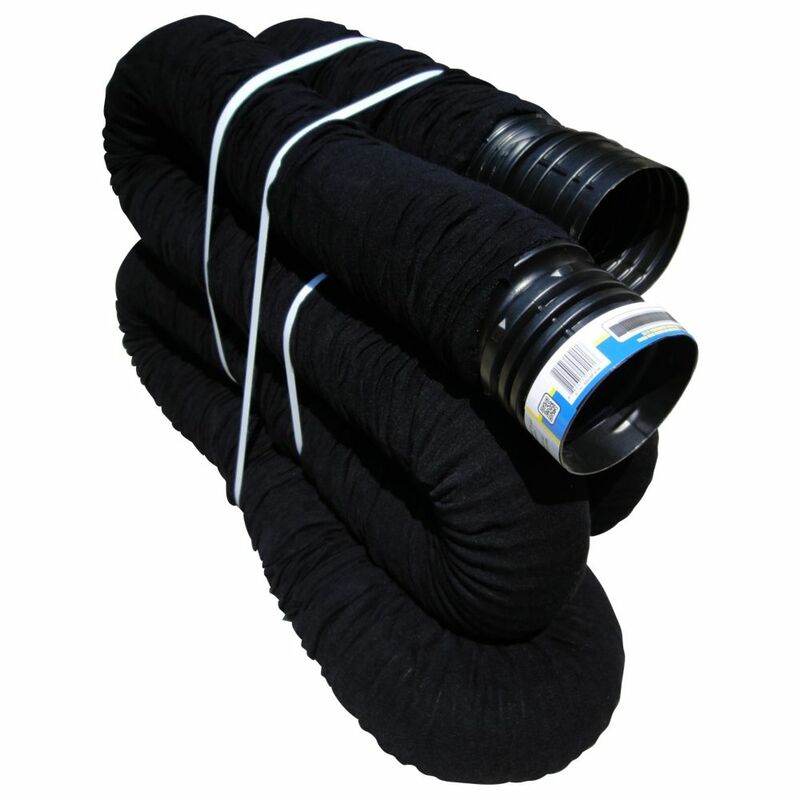 Polyester sock prevents clogging of the slots to allow use in areas where soil or sand requires filtration. MOLE-Pipe lengths are approved for above and/or below ground applications. Mole-Pipe Pro 52 Feet Sock is rated 3.7 out of 5 by 3. Rated 5 out of 5 by Craig126 from Great for yard drainage I installed down beside our driveway to drain some high moisture areas and it has worked very well. Flexible so I could go around objects. Rated 1 out of 5 by Mike from Junk Don't waste your money. By the proper big O and you will be happier. This pipe crushed once I backfilled with gravel. I had to pull it out , re-dig the trench and then I used the proper big O. Rated 5 out of 5 by Pdrum from Great product Bought this to make some diy self watering planters. Used in the base of the pots as the reservoir. Works amazing.